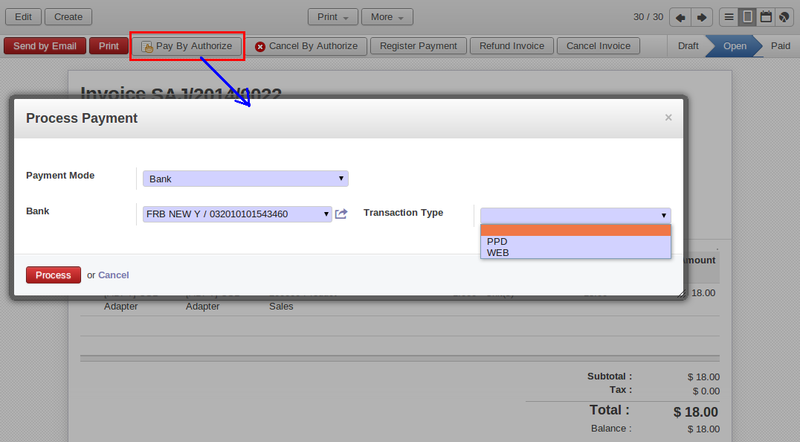 As we have already posted one blog for Authorize.net feature integrated with OpenERP. https://acespritechblog.wordpress.com/2013/11/26/openerp-integration-with-authorize-net/. 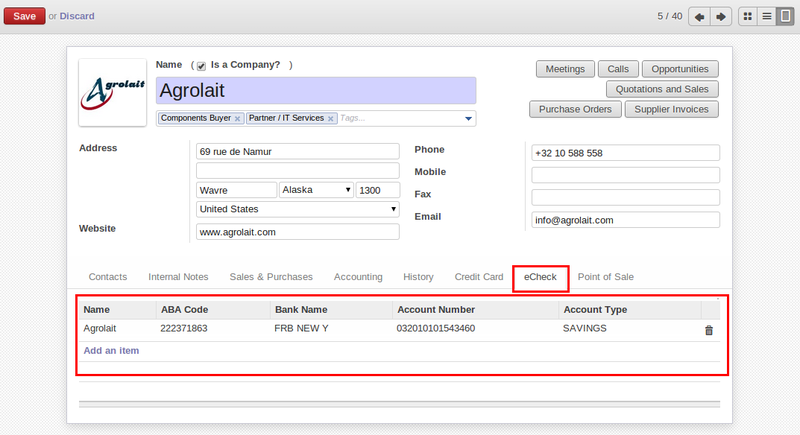 After this development we have implemented eCheck feature for authorize.net integration with many other imporvemets. 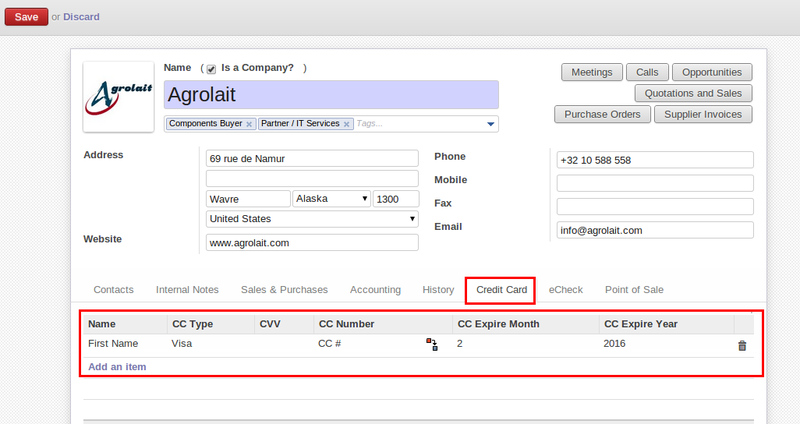 In newer version, it will be possible to add more than one credit card numbers for customer. And it is also possible to insert new credit card information during payment process. Same as credit card, user allows to enter more than one bank information of their customers and can create during payment process. Here we have made major improvements compare to older version. User can select better option for payment request from popup window like ‘Credit Card’ or ‘Bank’ and related options will also be appear. There are other methods also available with eCheck but Authorize.net Test account allow to make testing with below two methods only. 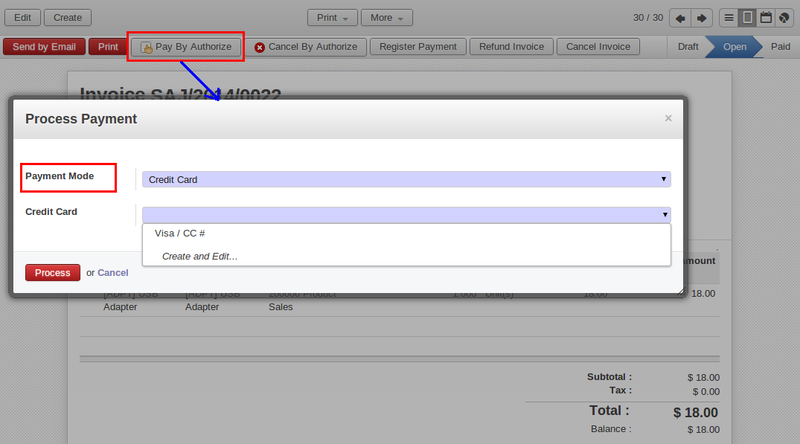 After make payment request with eCheck, authorize.net server gives some response. We are keeping histrory of each and every transaction with response that generates with Authorize.net. 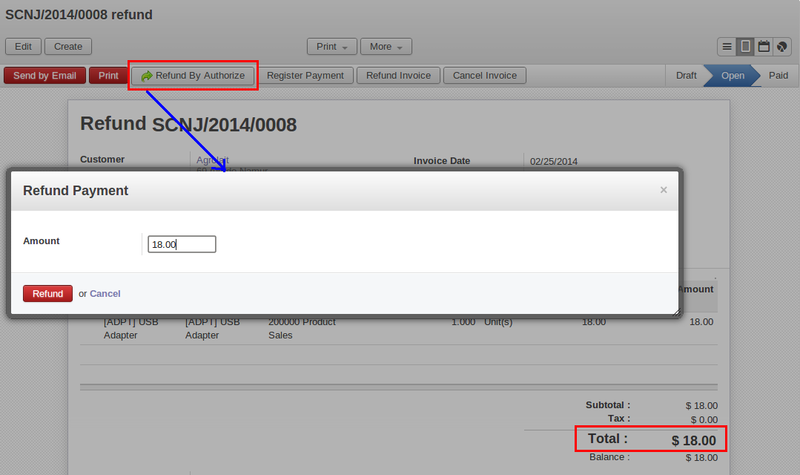 It is very easy to STOP payment which is already sent to authorize.net for further processing. 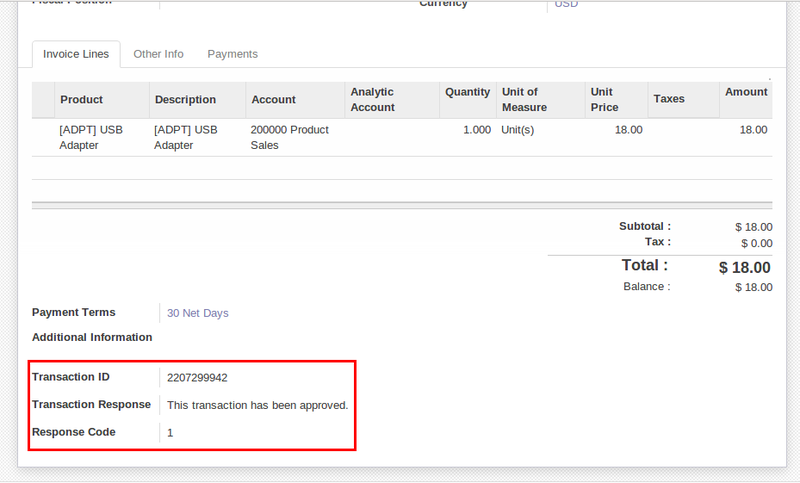 And once transaction will settle with authorize.net, you can refund it with any amount. (less than Invoice amount).